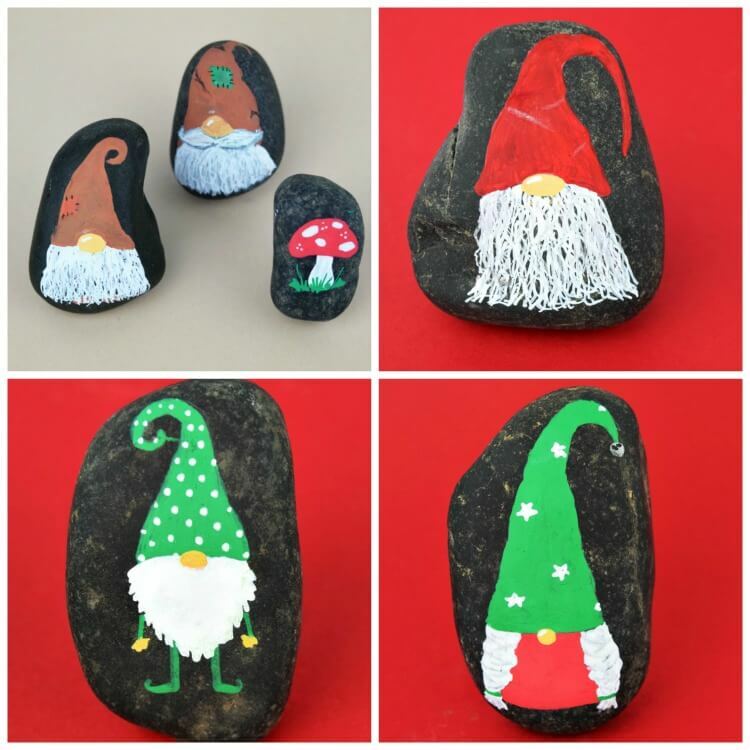 These Christmas gnome rock painting cuties are just the thing to add a little holiday cheer into your painted stone hobby. Let’s get started! 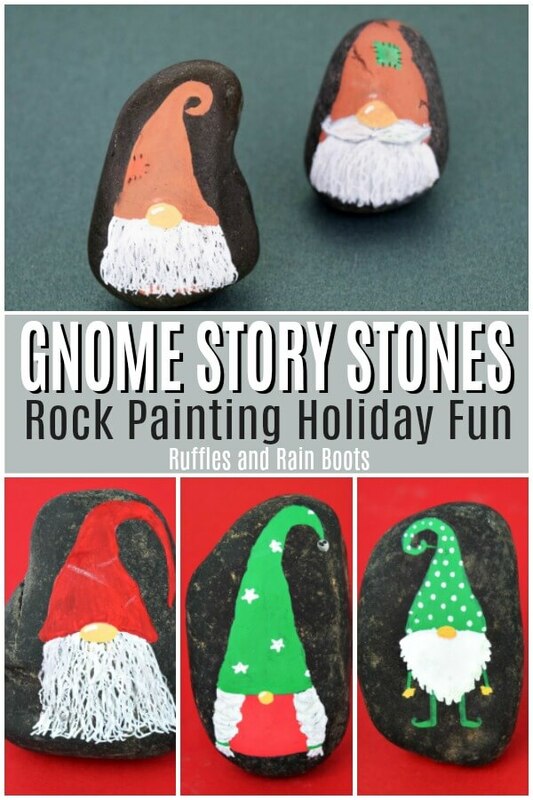 Isn’t this gnome story stone set just adorable? We had some time before a playdate when my daughter started singing Jingle Bells. Yes, that’s enough to start me crafting Christmas stones, friends. I have no will power and cannot resist a Christmas carol. Because we used natural rocks – see which rocks we like getting at home improvement stores – this rock painting idea was very quick to come together. So let’s get started. Psst: did you spot those cute little Harvest or Fall gnomes? 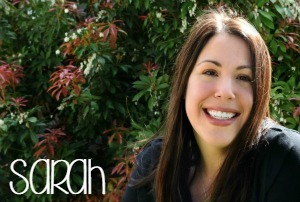 They’re coming next week to Ruffles and Rain Boots! Scroll back up to see the ridiculously quick video to help show you how we layer the design. 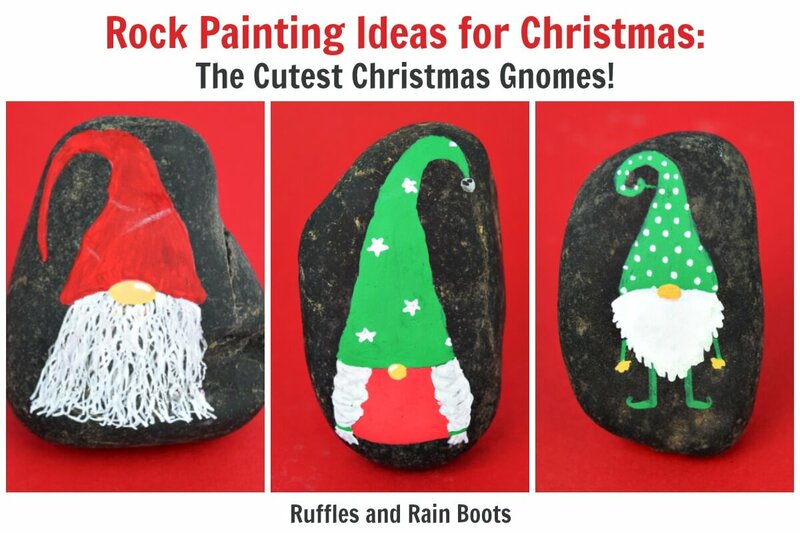 The layers will help your Christmas gnome rock painting cuties be vibrant. These Christmas gnome rock painting cuties are just the thing to add a little holiday cheer into your painted stone hobby. Wipe the rock clean and use a pencil to lightly draw on a hat. Leave a middle space for as large a beard as you like and draw two sticks for legs. Draw a small swoosh for the feet (as shown in the video). Use a paint pen or paints to apply the first layer of color. We start with the hat and legs and let it dry completely before moving on. Using brown and white, layer brown, white, and brown to create the button nose. No need to be exact because you can clean anything up when painting the beard. Next, use a paint pen (or acrylics) to make an acorn-shaped beard. Don't worry about texture yet, we'll get that on the second pass. Clean up any part of the paint (or apply a second coat) while the beard dries. When it has, use the paint pen to add texture by pulling out from the beard. Use a paintbrush or foam brush to apply a light layer of ModPodge to seal the paint pens. 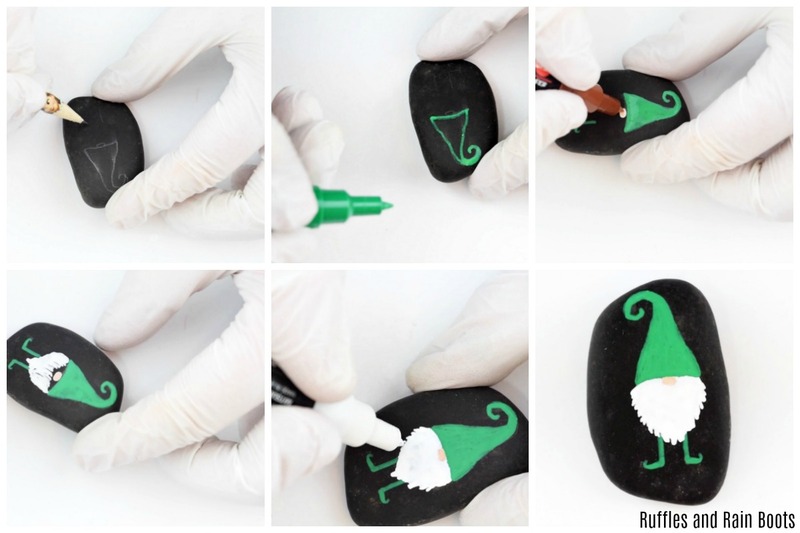 Follow that up with a few layers of wipe-on polyurethane to seal and protect your Christmas gnome rock painting friends. Which is your favorite? I think I’m partial to the lady – those braids would be ridiculously awesome to have.